A touch of eternal winter is coming to the Disney Princess Half Marathon Weekend presented by Children’s Miracle Network Hospitals at Walt Disney World Resort next year. Two of the popular family-focused events during the race weekend, the Disney Princess 5K and runDisney Kids Races, will have a new Frozen theme with new medals depicting a Frozen motif from the hugely successful Disney animated film. Registration for the race weekend opens July 15. 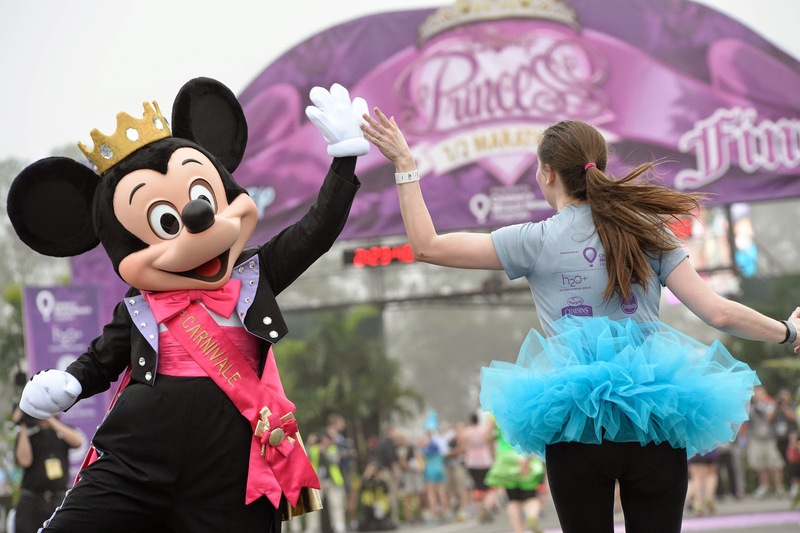 In addition to the Disney Princess 5K and the runDisney Kids Races, the Feb. 19-22 race weekend will feature the Disney Princess Enchanted 10K and Disney Glass Slipper Challenge (SOLD OUT), which involves running the 10K and the half marathon on consecutive days (19.3 miles). Runners who complete the Challenge will earn the Disney Glass Slipper Challenge Medal to go along with medals from each individual race. runDisney, one of the largest race organizers in the nation, hosts a series of nine event weekends providing runners unique opportunities to run various distances through Disney theme parks. Race participants earn Disney-themed medals, experience legendary Disney entertainment and guest service and ultimately celebrate their accomplishments with a Disney vacation. The original event in the series, the Walt Disney World Marathon Weekend, takes place in January followed by the Disney Princess Half Marathon Weekend presented by Children’s Miracle Network Hospitals in February, Expedition Everest Challenge in May, the Twilight Zone™ Tower of Terror 10-Miler in October and the Disney Wine & Dine Half Marathon Weekend in November. Disneyland hosts the Star Wars Half Marathon Weekend presented by Sierra Nevada Corporation in January, the Tinker Bell Half Marathon Weekend in May, the Disneyland Half Marathon Weekend during Labor Day Weekend and the Avengers Super Heroes Half Marathon Weekend in November. More than 163,900 running enthusiasts participate in runDisney events each year. For more information, visit www.runDisney.com and follow us on Facebook (runDisney), Twitter @runDisney and Instagram.